//	Here’s why Sony Xperia phones aren’t used more widely in the U.S.
Here’s why Sony Xperia phones aren’t used more widely in the U.S.
Sony is one of the oldest names in the mobile phone industry, however, the company’s Sony Xperia phones are not so popular stateside. This doesn’t mean Sony Xperia phones aren’t great pieces of hardware, but like any other OEM, there are quite a good number of challenges the tech giant is facing when it comes to spreading its love in the U.S. market. So, the question is what really makes Sony Xperia phones less popular in one of the world’s biggest smartphone market? Let’s dive right in. Until recently, Sony’s mobile division was doing great, but with the growing competition in the smartphone world, the division hasn’t been racking in the same profits as before. It gets even worse when it comes to the U.S. market where Apple, Samsung and Google are the main players in a market that Sony is also targeting. Making a statement in this market has proven to be an uphill task for the Japanese company. What does this mean? It means that Sony is unable to invest huge amounts of money into advertising Xperia phones in the U.S., which is essentially one of the reason people don’t get to know more about new Sony Xperia handsets on the market. Furthermore, unlike Samsung, Apple and Google that sell their phones through carriers, Sony lacks carrier support in the U.S. Carriers control the U.S. smartphone market, but Sony opts to sell unlocked phones, which makes it even harder for them. For those who want to take advantage of carrier-specific features, for instance, Wi-Fi Calling and VoLTE, buying an unlocked Sony Xperia phone means that none of these features will be at your disposal. Sony has some sort of explanation as to why Xperia phones that sell in the U.S. come with a disabled fingerprint scanner, but still, this doesn’t justify the fact that these phones lack the most secure form of biometric authentication. For a premium phone, not being able to use a fingerprint scanner doesn’t makes any sense. Of course, many will say that you can flash a different firmware and enable the scanner while others feel that simply buying the international version will solve the problem. But who wants to pay a premium for a phone only to go through other hassles to enable a feature that should be there right out of the box? Definitely not the mainstream user! If you have used Sony Xperia phones for years, you’ll agree that the latest ones are the oldest when it comes to design language. 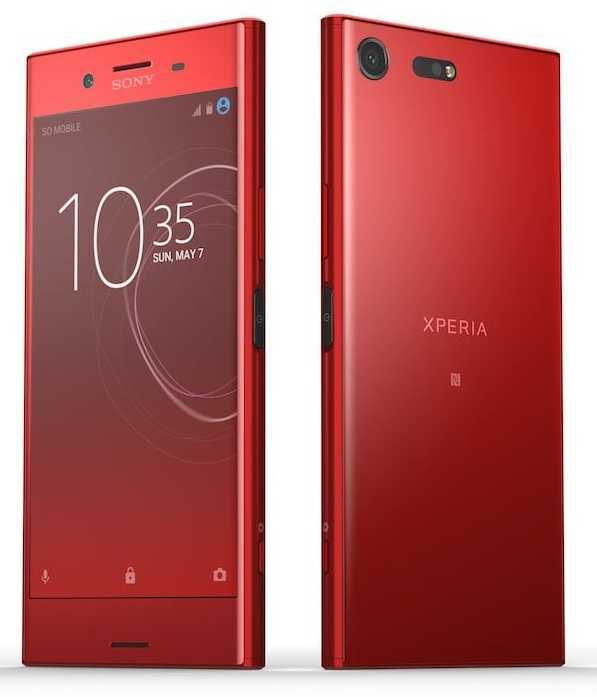 In fact, you’ll be forgiven to think that the Xperia Z3 is a newer phone compared to the Xperia XZ, for instance, but word has it that 2018 will bring radical design changes to the upcoming Xperia phones. Whether this design change will spur the uptake of Sony Xperia phones in the U.S. remains to be unseen, but in an age where consumers are mainly looking for slimmed-down bezels on phones, Sony has no option but to tag along. The U.S. is one of those markets that are sensitive to specs and updates, which is why the likes of Google Pixels and Apple iPhones have higher adoption rates. Until recently, Sony hasn’t been one of the best when it comes to rolling out software updates. This meant that Sony was only banking on the Xperia phones’ top-notch specs to attract customers. Despite having quality specs, an old design and lack of timely software updates means that justifying any of those price tags Sony has been slamming on its phones isn’t an easy task. The good side of the story is that Sony Xperia phones do tend to depreciate at an alarming rate, which means you can grab one at a justified price tag a few months following its official release. For instance, the Xperia XZs started selling at $700 back in April 2017, but it’s now selling for $400. On the other hand, the Xperia XZ Premium made its debut in June 2017 priced at $800 and six months later, the phone can be yours for under $550. Today, Sony has stepped up its software game, which brings it closer to Google Pixels as far as specs and updates are concerned. With the rumored changes to the design, Sony might turn out to be one of the OEMs to watch out for this 2018. Still, the lack of carrier support might still limit the adoption of Sony Xperia phones in the U.S.